South Australia’s Minister for Aboriginal Affairs and Reconciliation, Ian Hunter is making the future of remote communities all about money. There is no certainty for the communities of First Peoples according to Mr Hunter. He is warning that the State will not pick up the tab for municipal services, water and power as it does for White communities and towns. Mr Hunter warned the communities of the Anangu Pitjantjatjara Yankunytjatjara (APY) Lands may be closed unless the Commonwealth keeps on funding the essential services. “We will not pick up the shortfall, it is the Commonwealth Government’s responsibility,” said Mr Hunter. Mr Hunter said it will be up to the Commonwealth who will have to explain to the people why they are being evicted when the State feels compelled to close the communities. But the State cannot even scrub up apparently $10 million per year to fund these communities’ essential municipal services. This is just nonsense and in the meantime they have horrified community residents as has the Western Australian Government which is planning to close down between 100 to 150 communities. It cannot all be about the money, because $45 million each year for Western Australia’s remote communities municipal services bill and $10 million each year for South Australia’s communities municipal services bill is relative pittance. The cost of relocating people and the cost of potential housing, aside the social chaos, will outstrip annual municipal services bills. This spat between the States and the Commonwealth is in part a charade. It has been a long known agenda from an assimilationist’s perspective and a miner’s dream to close down remote communities. 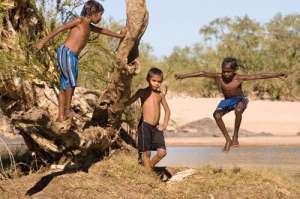 Recently, Federal Minister for Indigenous Affairs, Nigel Scullion, stated that Premier Colin Barnett has spent years talking about closing many remote Western Australian communities. Mr Hunter prospered the paradox that it is the Commonwealth closing the communities even if the State actually closes them. He said it makes little sense to not universalise in each State and Territory municipal services responsibilities. He said each State and Territory needed to have responsibility for all its constituents. But Mr Hunter said if the Federal funding ceases then in effect it is the Commonwealth who are turning off the water and the electricity, and stopping the collection of rubbish and waste. But Mr Hunter acknowledges that if the State shuts down communities it will lead to overcrowding, homelessness and squalor to towns where the residents relocate. South Australia could just pick up the paltry $10 million municipal bill and show the rest of the nation how it is done, and respect the right to various certainties that remote living communities should be entitled to. * News Analysis: Michele Madigan, Sisters of Saint Joseph: Sorry Day – But Are We? * Subs Deal: New Matilda: World’s Worst Pitch Of World’s Most Ethical Subscription Offer!